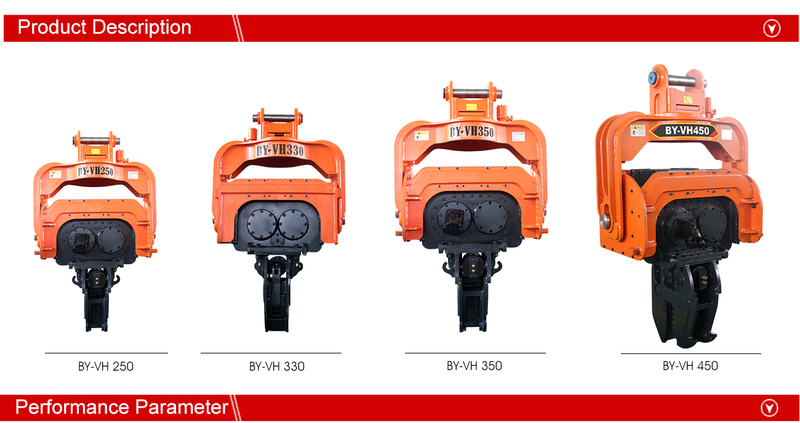 Hydraulic Vibratory Hammer is using its high frequency vibration to vibrate pile body with high acceleration to pass the vertical vibration of mechanical produce to pile which leading to changes in the soil structure around the pile, strength decrease. Soil around the piles become liquefaction to reduce frictional resistance between side of the pile and the soil. Then using the excavator down force, vibrating pile hammer and pile body weight to sink pile into the soil. 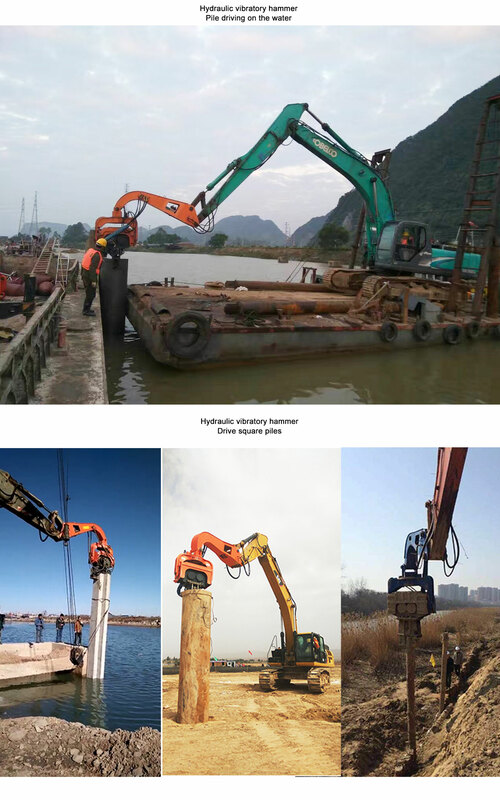 When extracting piles, in the condition of vibration to pull out the pile by using excavator lift force. 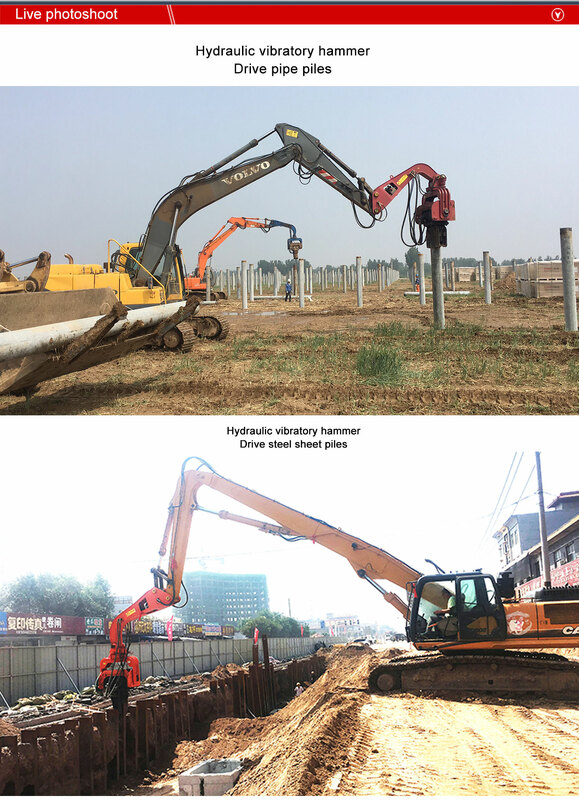 Excitation force needed by pile driving machinery are comprehensive determined by site soil, soil condition, moisture content and type of pile, construction. block to maintain a certain amplitude to cope with various types of soil and pile driving. 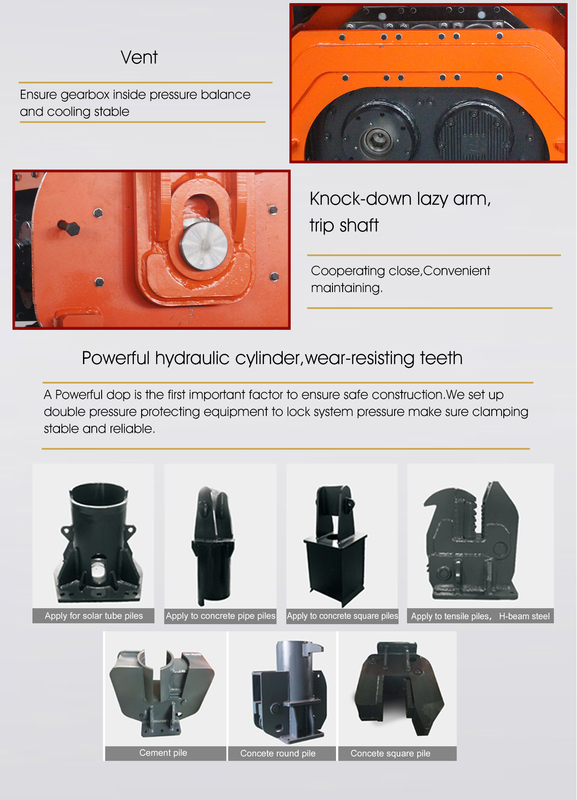 and material properties, not only can meet the needs of the work but also guarantee the mechanical reliability. 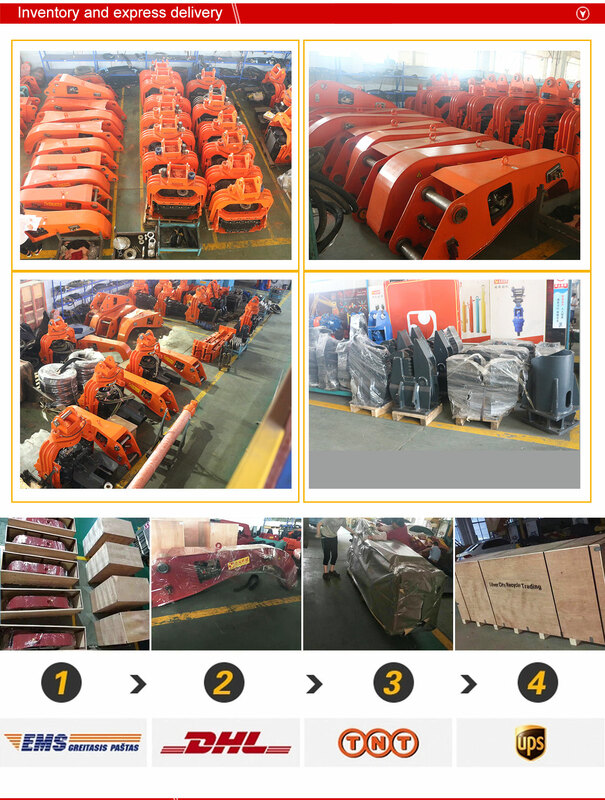 Hydraulic Vibratory Hammer How to Work? 1.Vibrating pile hammer is using its high frequency vibration to vibrate pile body with high acceleration to pass the vertical.vibration of mechanical produce to pile which leading to changes in the soil structure around the pile, strength decrease.Soil around the piles become liquefaction to reduce frictional resistance between side of the pile and the soil. 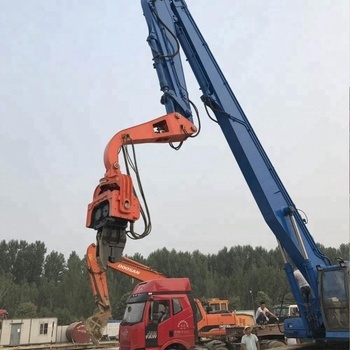 2.Then using the excavator down force, vibrating pile hammer and pile body weight to sink pile into the soil.When.extracting piles, in the condition of vibration to pull out the pile by using excavator lift force. 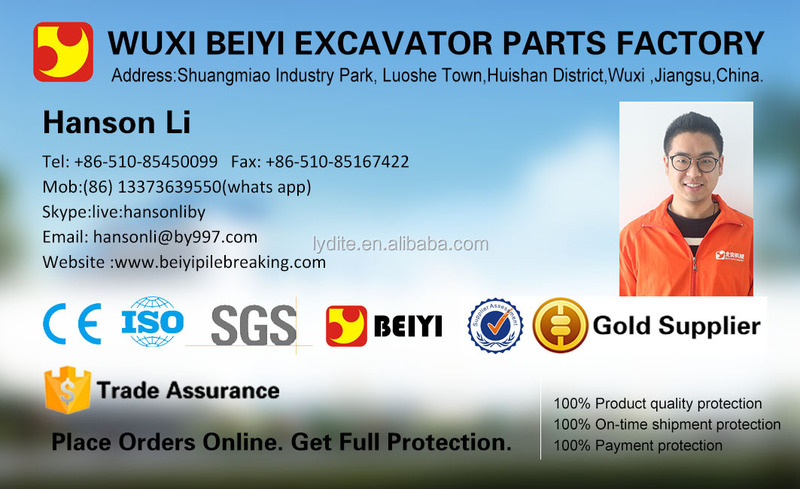 3.Excitation force needed by pile driving machinery are comprehensive determined by site soil, soil condition, moisture content and type of pile, construction. 4.The efficient of vibration pile method is higher than other methods. It is mainly applied to steel sheet pile, steel pipe pile and long slender concrete precast pile within 8 meters. 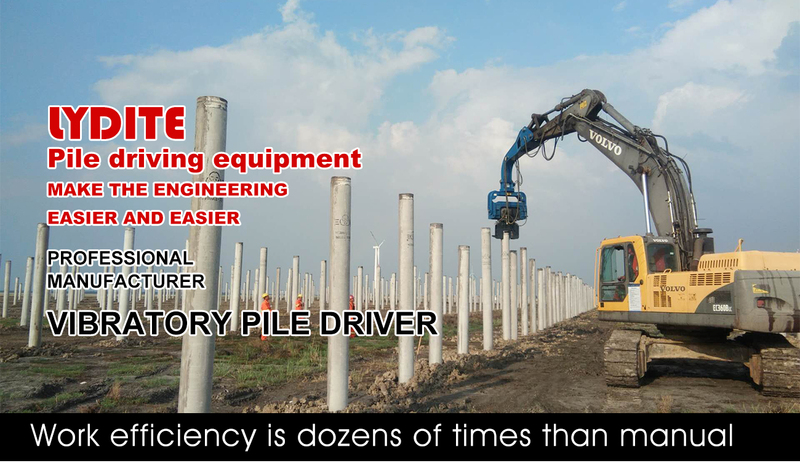 5.This pile driving method is the most suitable for working in sand and poorer effect in the clay which must select higher power model machines. 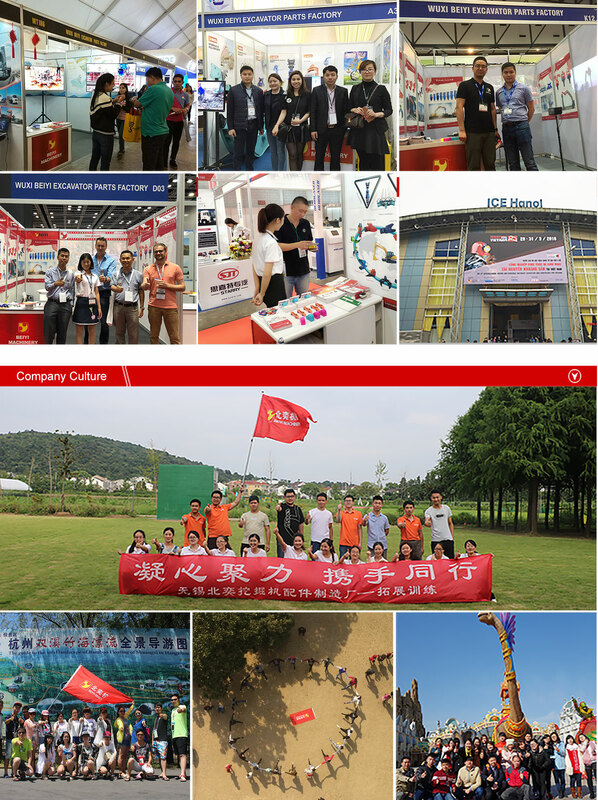 Lydite is a professional high tech enterprise based in Wu xi with an area of 5000 square meters workshop. It is established in 2000 and has convenient transportation access. 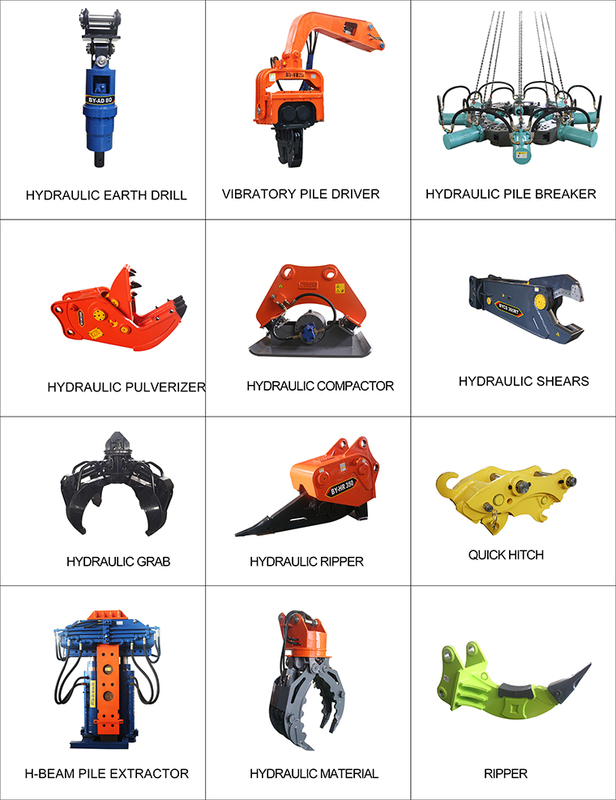 We are fully committed to producing technologically advanced excavator parts and we have our own technical engineering research center and pile driving machinery engineering center. 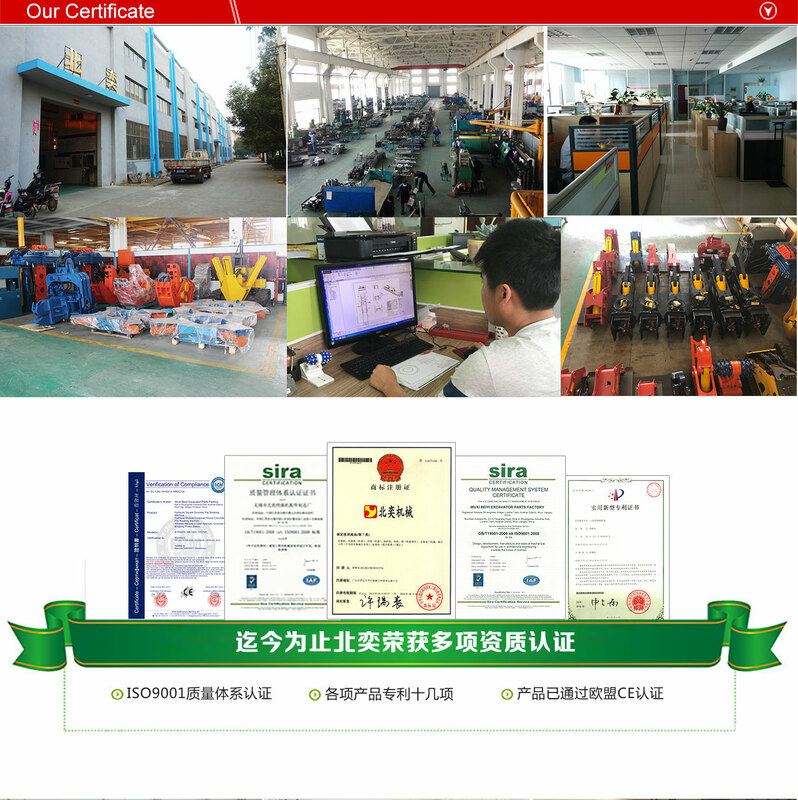 Our core team is composed of senior staff in the industry and has the international advanced R&D system and technical level. We are concerned on research and development to ensure that we can provide our customers with top quality and the innovative products. 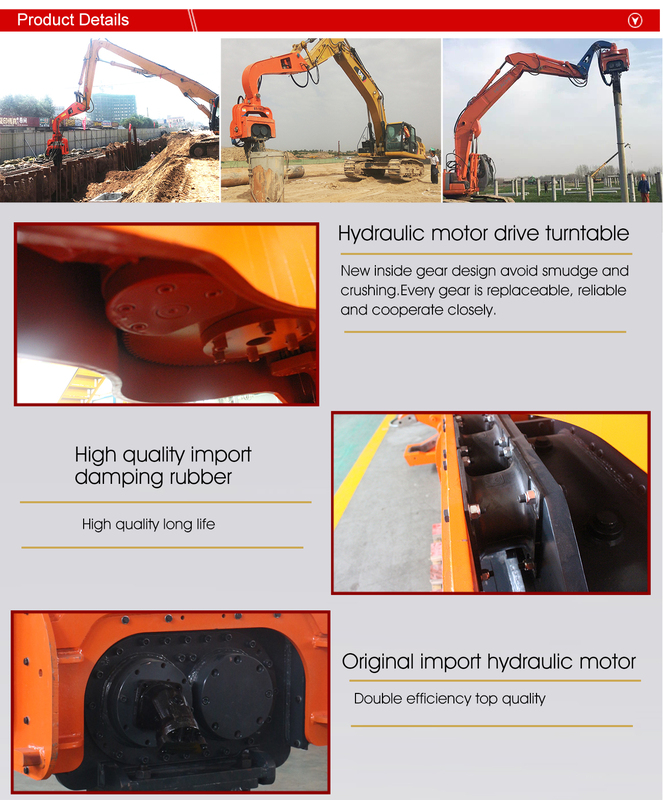 Why Choose LYD Hydraulic Vibratory Pile Driver?